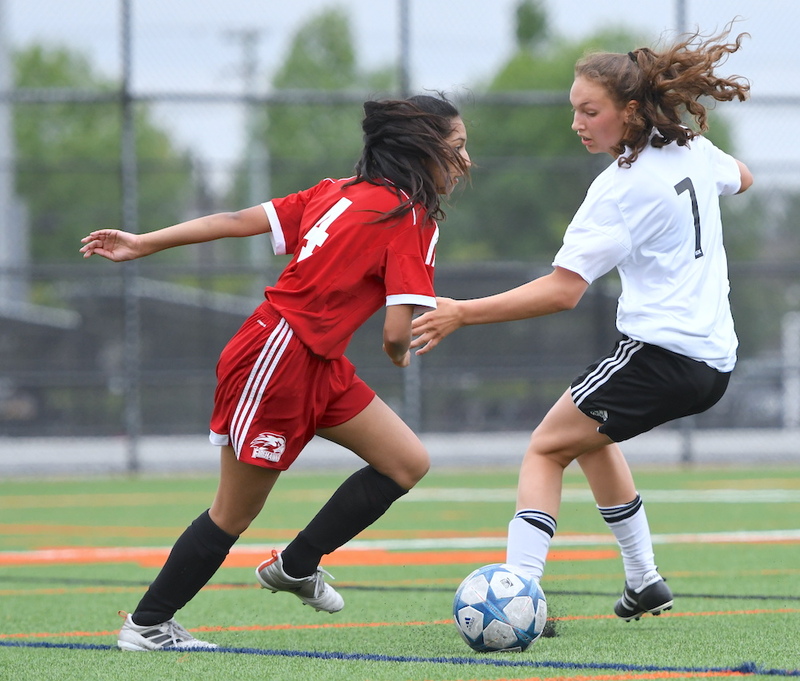 And when it comes to predicting which new school, on the girls’ side, is ready to make a big splash into the senior varsity ranks in 2018-19, it’s hard not to anoint the rising pool of talent which resides at Surrey’s Fraser Heights Secondary. Earlier this month, with one of the most plucky efforts we’ve seen in any sport this season, the school’s JV Firehawks soccer team completed its run by winning the all-tier Fraser Valley junior championship title, scoring a match-saving goal late in overtime and then winning on penalty kicks for a second straight game to defeat Coquitlam’s Dr. Charles Best Blue Devils 4-3. It’s a banner which comes just over two months after some of the same girls authored a huge Cinderella story, leading the Firehawks from a Fraser Valley No. 6 seed all the way to the championship final of the B.C. junior girls basketball championships, where they lost in the final to Langley’s Walnut Grove Gators. To cap it all off, a large core of that rising group opened their three-sport season by playing for the school’s volleyball team in the fall. 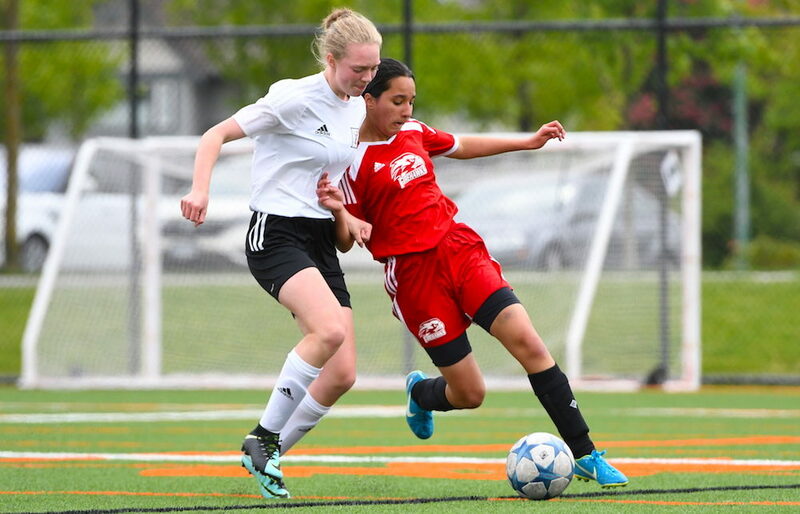 “This is a fantastic group of girls,” said soccer coach Dale Gill, who along with co-coaches Matt Newton and Glen Payne, expect to move soccer into the senior AAA ranks next season where mettle will be tested against provincial powers in Surrey rivals like Fleetwood Park and Panorama Ridge. Gill was speaking to the rallying efforts of the Firehawks against the Blue Devils in the Fraser Valley title game played at Cloverdale Athletic Park. Salina Ali and Jiya Kaila had scored regulation markers for Fraser Heights, and Grade 8 standout Preeya Rai had equalized with two minutes remaining in overtime after Dr. Charles Best looked like it might make its own overtime marker stand as the winner. “There is an amazing amount of resiliency to come back and to persevere,” continued Gill, who admitted that the postseason had been filled with drama. 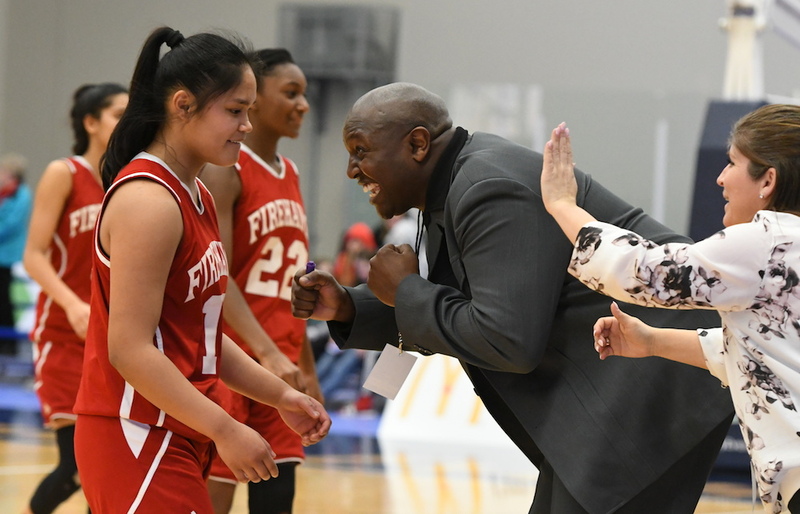 The Fraser Heights junior girls basketball team, which features a roster that includes members of the soccer team, had to win a game at the provincials in March just to make itself a part of the final Sweet 16 field. And from that point forward, they cut a swath through the rest of the field at the B.C. tournament under veteran head coach Wayne Best, upsetting No. 2 overall seed Brookswood, later getting 25 points from Neelam Rai, 20 more from Karishma Rai and 15 from C.J. Dacanay in a 68-44 semifinal win over Abbotsford’s Yale Lions. Like the soccer team, which will play as a senior varsity AAA team next season, Best has confirmed that he will help coach the core of the JV basketball team which moves up to senior varsity next season. The 2017-18 season was also a banner one for Fraser Heights alums. Two former male grads had outstanding seasons with their post-secondary teams, and both did so as fifth-year seniors at the national championships. 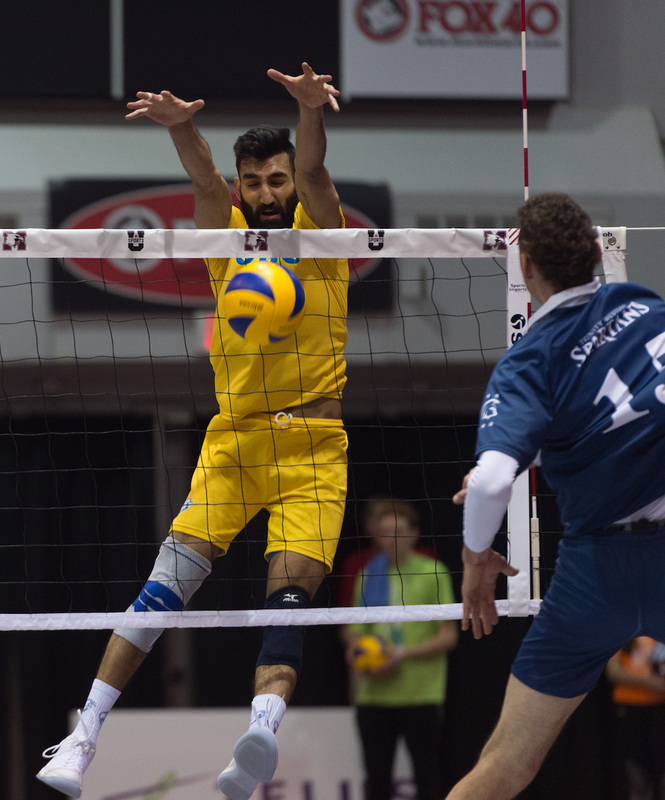 Irvan Brar played above his height in leading the UBC Thunderbirds to their first U Sports men’s national volleyball championship in 35 years. 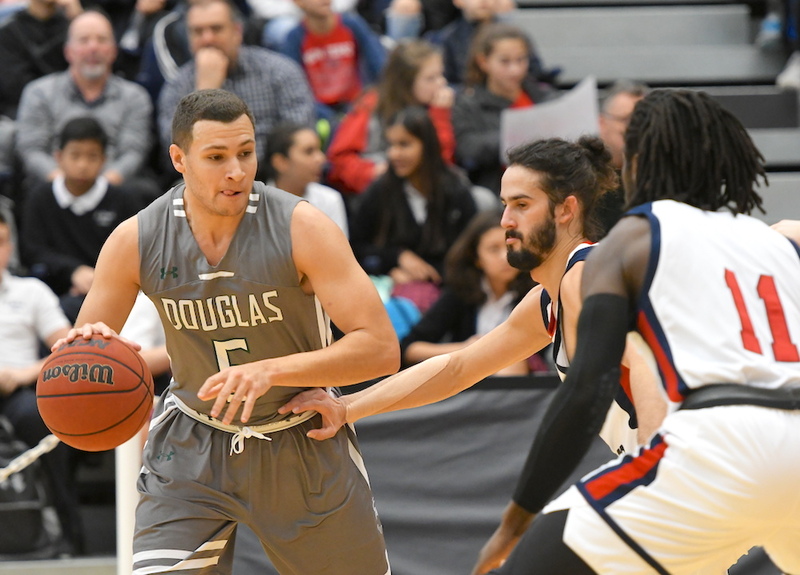 As well, point guard Grant Campbell led New Westminster’s Douglas College Royals all the way to the final of the CCAA national basketball championships before they fell to Seneca College of Toronto. B.C. Recruits List 2018: Help us compile our best list ever! This year’s 2000-born Grade 12’s were Grade 1’s when we first launched!